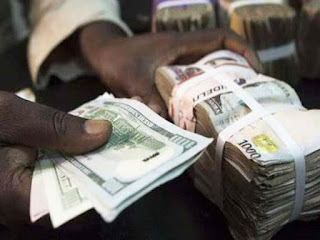 The naira recorded a marginal gain on Wednesday, closing at 367 per United States dollar, up from 368 on Tuesday. The local currency has been hovering between 363/dollar and 370/dollar as the Central Bank of Nigeria continues to supply foreign exchange into the market. Analysts expect the local currency to trade within this range this week. Meanwhile, the CBN sold $195m in various segments of the inter-bank market on Wednesday, the first day of transaction after the Eid-el-Fitr celebration. A breakdown of the intervention indicates that authorised dealers in the wholesale window segment received a $100m offer from the bank, while the Small and Medium-scale Enterprises and invisibles windows were allocated the sums of $50m and $45m, respectively. The bank’s Acting Director, Corporate Communications, Mr. Isaac Okorafor, confirmed the figures and disclosed that the bank was impressed by the high level of transparency exhibited by stakeholders in the market, according to a statement by the lender. The CBN had in its last intervention on Friday, allocated the total sum of $240m to the Retail Secondary Market Intervention Sales for spot and forward deals. With the rate of inflation dropping from its April 2017 figure of 17.24 per cent to 16.25 per cent at the end of May, 2017, the CBN spokesman said the bank remained upbeat that the fortunes of the naira would improve further in the months to come. The central bank has been intervening on the official market in the last few months to try to narrow the spread between rates on the official market and black market. It has sold over $5bn since February.